0 available yachts at this destination! Board your luxury charter yacht in St. Thomas, USVI and enjoy a delightful lunch on the aft deck and a leisurely sail to Francis Bay on St. John. 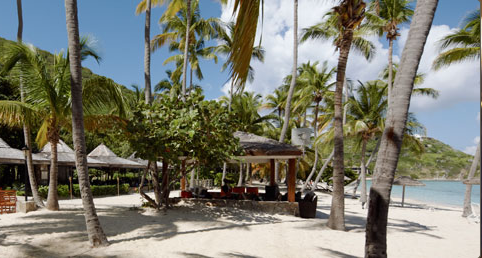 It is nearly always possible to find a lovely secluded spot on this vast, white sand beach. Launch the yacht toys and spend the afternoon playing and swimming in crystal clear, turquoise waters. Snorkelers head for the deeper waters just beyond the shallow fringing reef along Francis Bay's rocky north shore to view an amazing and rich variety of marine life. Stroll along beach or follow the Francis Bay Trail that runs along the salt pond behind the beach and is an excellent place for bird watching, especially early in the morning. Return to the the yacht to enjoy signature sunset cocktails followed by a delicious dinner under the stars. 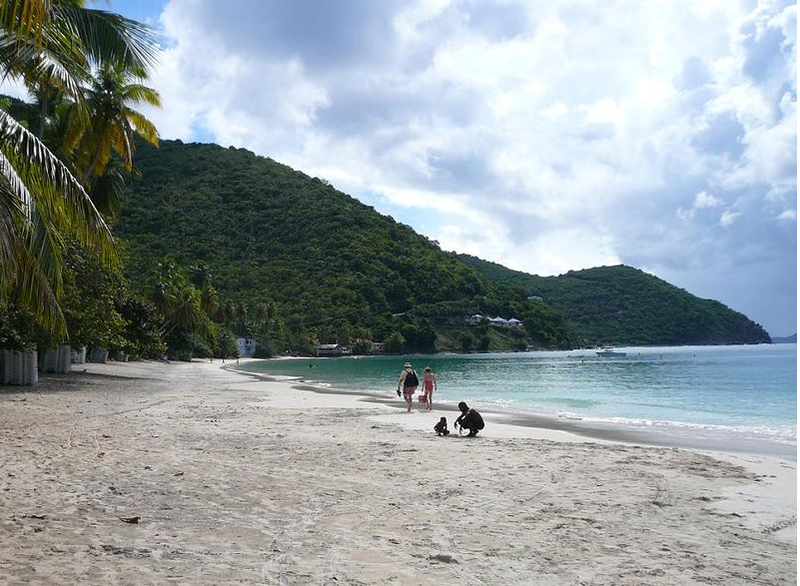 Leinster Bay, St John, offers a morning of spectacular snorkeling or hiking. Most agree that Waterlemon Cay, just offshore from the east end of Leinster Bay, is the best snorkeling on St. John. Explorers and hiking enthusiasts can walk along the many island trails where visitors are likely to spot feral donkeys and small herds of goats that roam freely through the bush. History buffs should take the Brown Bay Trail that leads to some of the most extensive ruins on the island of St. John. In the afternoon set sail for the Jost Van Dyke, first stop in the British Virgin Islands. Foxy's is one of the world famous beach bars where visitors can divulge in authentic Calypso island revelry. Join a "jump up" party and mix with visitors and locals, sample island cuisine, microbrews, and potent tropical rum drinks. Sail around Sandy Cay, Sandy Spit and Green Cay for a morning of exploring, beach combing and spectacular snorkeling in the beautiful British Virgin Islands. 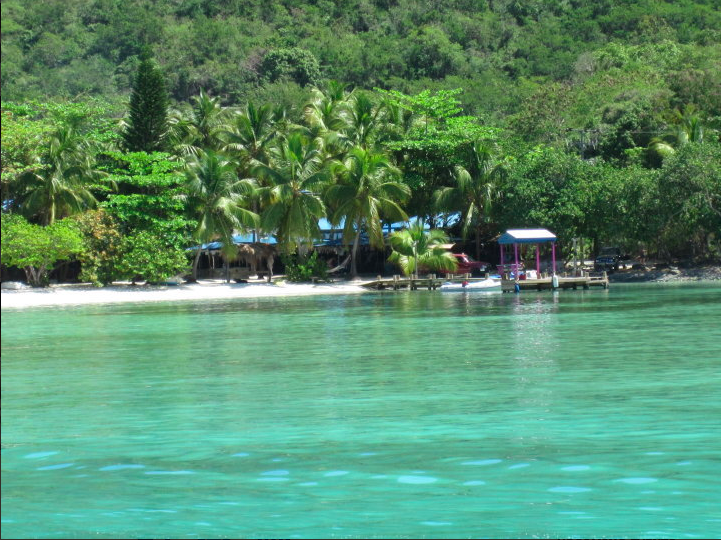 Sandy Spit is a picture perfect “deserted island” and the marine life surrounding the island is breathtaking. Next cruise to Cane Garden Bay, Tortola, a magnificent stretch of beach with charming local bars and a couple of excellent restaurants. Stay in Cane Garden Bay to enjoy a serene evening or head to West End, Tortola and a shore excursion to Pusser's Landing for a "Painkiller" and some island shopping. The Bight at Norman Island is renowned for legends of hidden pirate treasure yet to be found. 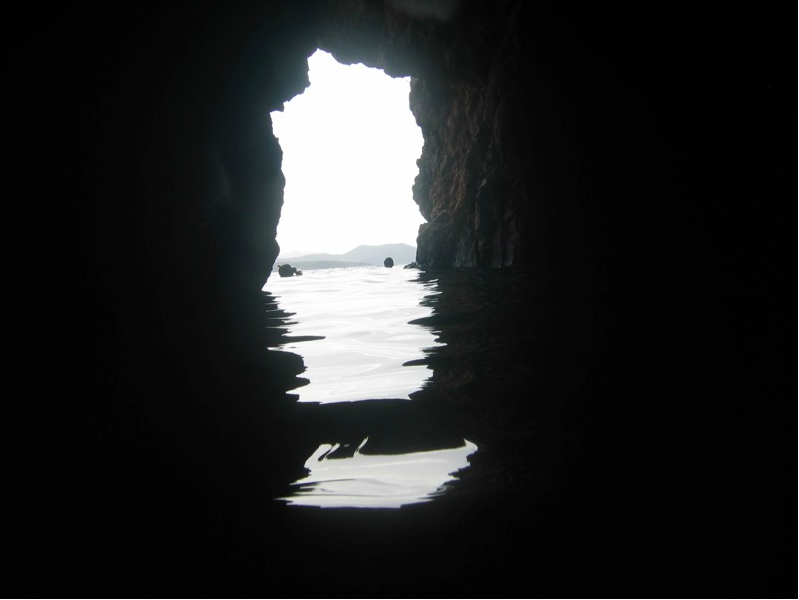 Norman Island, rumored to be the basis for the Robert Louis Stevenson novel, Treasure Island, is a popular snorkeling destination because of deep, dark caves that provide a magical experience. The island is privately owned and the only permanent inhabitants are wild goats. However, an old barge named the "Willie T" operates as a risque bar and restaurant known for seriously wild partying, mostly after dark. 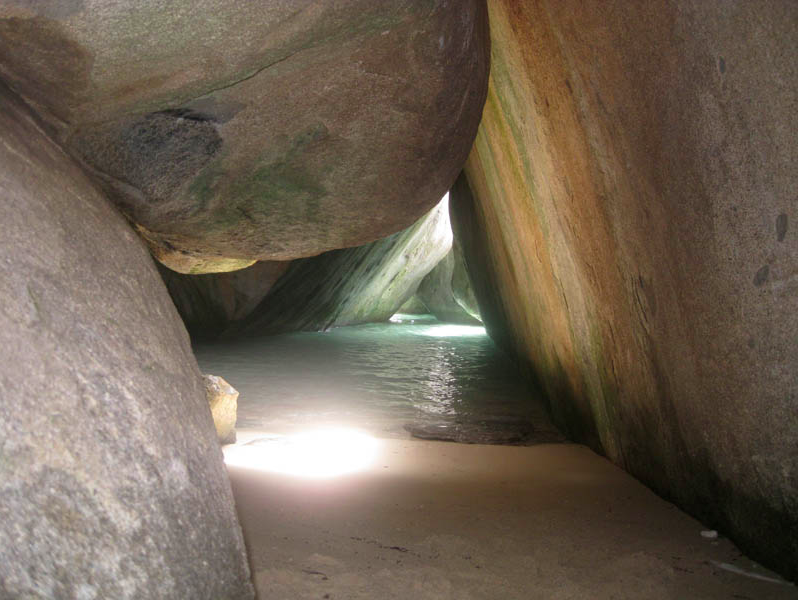 Virgin Gorda is world famous for its geologically mysterious Baths, an area where huge boulders descend into pools and grottoes that are fascinating for visitors of all ages to explore. Enjoy a gourmet lunch on board and a picturesque cruise to North Sound, Virgin Gorda, to visit the Bitter End Yacht Club, a premiere luxury water sports resort with a variety of activities available including kitesurfing, boardsailing, diving and hiking. The Bitter End Spa is rated “A World's Best” by Conde Nast Traveler. Enjoy a morning swim before heading to Peter Island, to a quiet beach on Deadman's Bay and a colorful coral reef at Great Harbor. For a delightfully upscale experience, spend the afternoon and evening at Peter Island Marina, Resort and Spa. This is a convivial setting in which to meet fellow yachtsmen and take advantage of five star formal dining and world class facilities. Launch the yacht's water toys and have some water sports fun either above or below the water line. 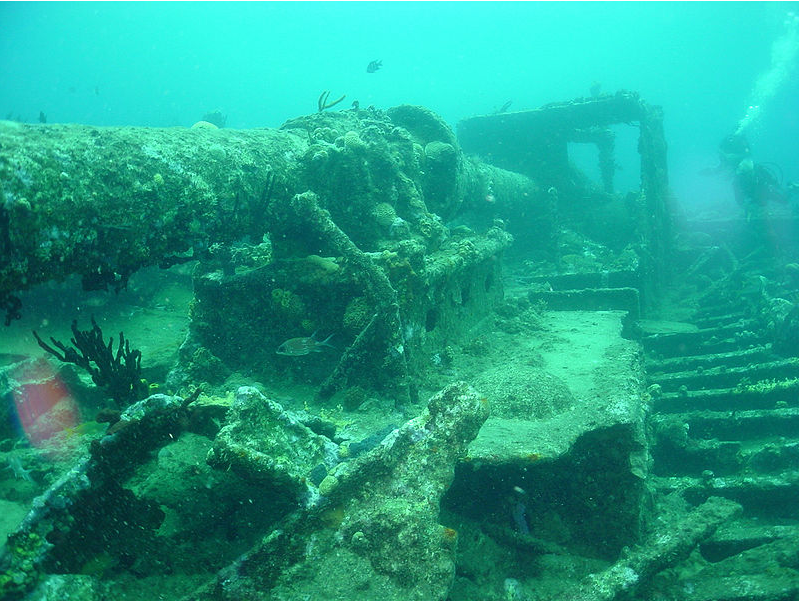 Divers will thrill to the 1867 wreck of the British mail steamer R.M.S. Rhone, laying on the ocean floor encrusted in coral. 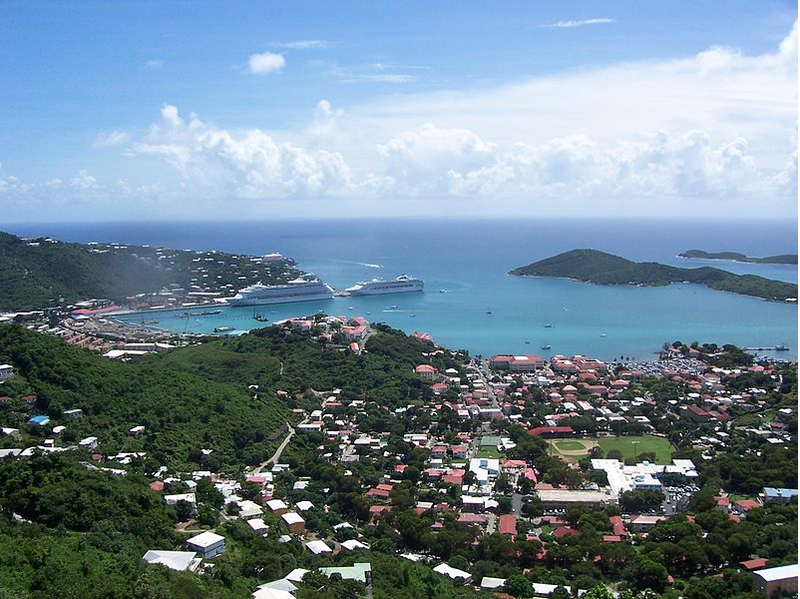 In the afternoon, sail to Cruz Bay, the main town on St John, to clear U.S. Customs. For guests who enjoy shopping and shore excursions, this charming city features island architecture, quaint boutiques and restaurants and historical points of interest. Guests who prefer the surf, head to nearby Christmas Cove on Great St James Island for afternoon snorkeling and other watersports. The final dinner on the aft deck, bathed in the balmy Caribbean breeze, is a moment to savor. Enjoy an excellent breakfast on deck and go for a final swim before setting sail for St. Thomas. Say a fond farewell to the crew as the dream of returning to the spectacular Virgin Islands begins to take shape. Guests that have an extended stay of a day or two will find St. Thomas an enchanting island with excellent attractions, restaurants and duty free shopping.